Durability for all types of flooring depends on foot traffic intensity, the amount of moisture the product is exposed to and your adherence to the manufacturer’s care and maintenance guidelines. 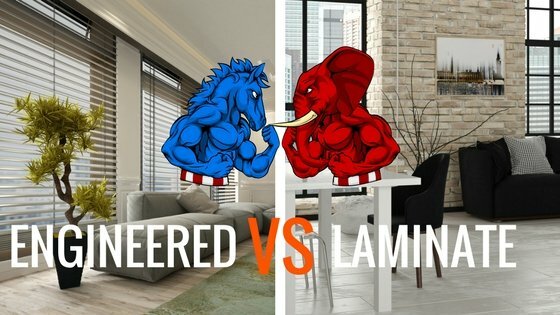 Laminate is harder than natural wood, making it highly resistant to fading, staining and moisture damage. However, damaged pieces need to be completely replaced, which can become a problem if the product has been discontinued and you didn’t buy extra planks. 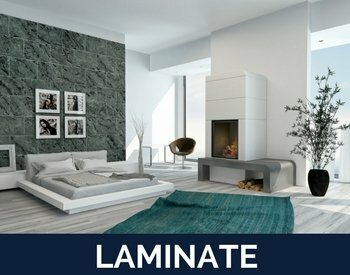 The expected lifespan of a laminate floor is 20 to 25 years. If longevity is your main concern, then solid wood flooring is the best option. 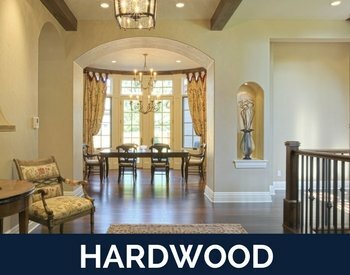 Depending on how well it is cared for, hardwood floors can last for many decades. The durability depends on the species of the tree. Hickory, oak and cherry are hardier than soft Douglas Fir, which dents easily. The finish and frequency of staining also impacts how long the planks last. 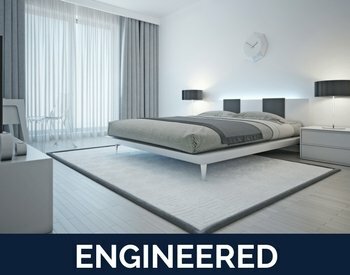 With some varieties of hardwood floors, like those with oiled or wire brushed finishes, minor scratches and dents will seamlessly blend with the current look, adding to the unique appearance and depth of the texture. On average, hardwood floors are sanded every 10 to 20 years and can withstand up to seven refinishes. An engineered hardwood floor has a comparable lifespan but is more difficult to repair over time. You can typically only sand it twice before the veneer wears too thin. Global Alliance’s products come with a warranty to ensure that they last the test of time. Click on the variety you like to find out more. Simply, laminate flooring is a synthetic product that looks like real wood due to the textual image that is imprinted on the top layer. The core layer consists of tightly compressed fiberboard material and melamine resin. 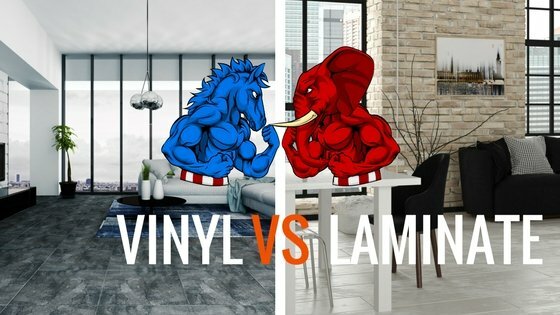 There are many types of laminate floors, ranging from inexpensive to higher-end wood-textured grains that are difficult to discern from the real thing. Often referred to as a floating floor system, the surface of laminate is more durable, scratch resistant and easier to clean. However, once it is damaged, it becomes more difficult to repair. 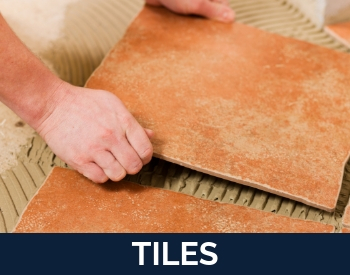 While it is considerably cheaper than wood flooring, it does not add as much value to your home. Solid hardwood flooring is made up of long wood planks that have been harvested from trees. 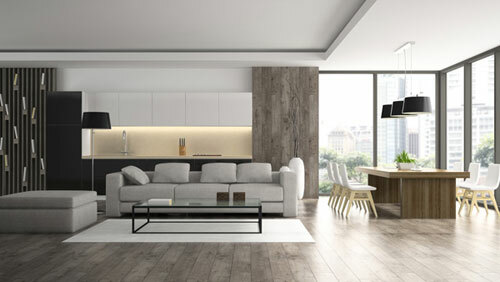 Natural wood gives off a warmer vibe and has its own character quirks, but you pay more for this authenticity. While it is easier to damage, it can be refinished, so it ultimately lasts longer. There are numerous options within this category based on grading, traits, finishes, color and strength. 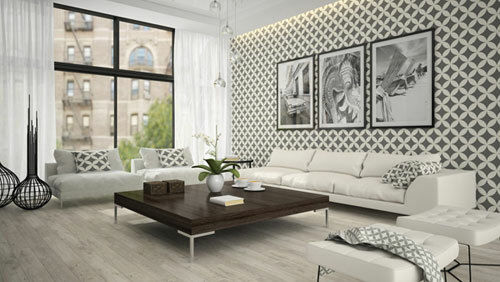 Durability can be increased and the price maximized by choosing engineered flooring. This modern option applies a sawn wood lamella finish to the top of several layers of high-quality plywood or high-density fiberboard. The thin veneer is more easily chipped and delaminated, and it can only be sanded once. However, it is more resistant to moisture and retains a comparable resale value to solid wood floors. The Global Alliance showrooms are stocked with dozens of laminate, solid hardwood and engineered hardwood floor options as well as basic and premium underlay choices that carry a 50-year aging resistance. You can even find the perfect trim and moulding all in one convenient location! 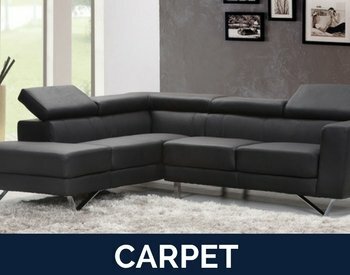 There is no universal answer to this question since it ultimately depends on your personal taste and how you want the flooring to look in your home. 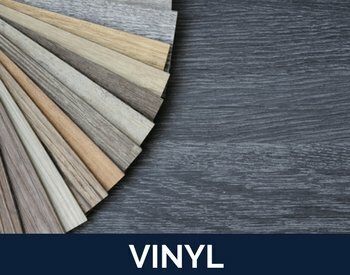 There is a notable difference between vinyl, laminate flooring and engineered hardwood. The pre-designed, imprinted patterns on the laminate’s surface imitate the look of real wood, but the patterns repeat approximately every five boards. Each plank of real wood has its own unique texture variation of the wood grain so that no two pieces look exactly alike. You will often need to mix different types of solid wood throughout your home due to the organic material's susceptibility to moisture. Laminate and engineered wood gives you more options for creating a uniform look.